1、Frame and traction tip-The frame is the space frame type and low-alloy welding structure, and it is welded by two T-shaped longitudinal beams to support the load. 2、The suspension system-The back lower part of the longitudinal beam is supported by a suspension device, and the forward lower part has supported device. 3、Axles and wheels: suspension system is equipped with three same axles assembly. 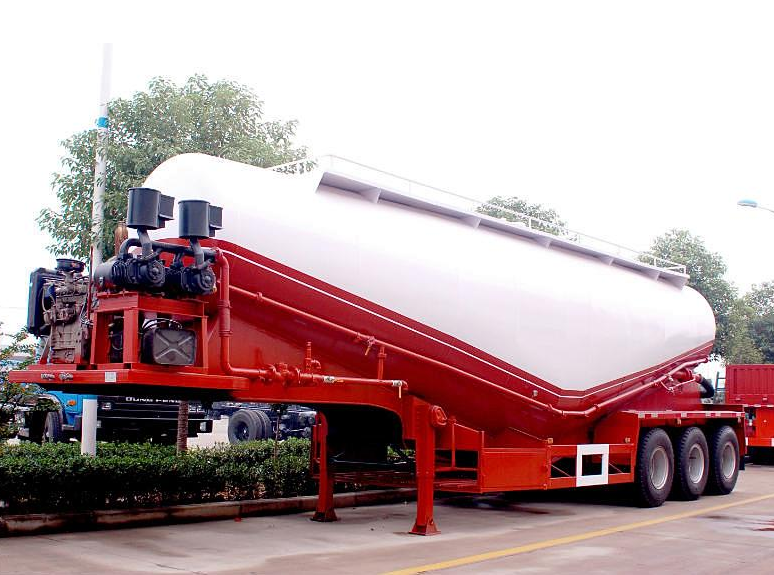 4、Supporting device: In order to make the semi trailer safety park after departing from tractor truck, the truck is provided with two supporting devices which are left and right linkage or left and right single action. 5、Brakes and operating devices: The semi-trailer is equipped with dual pipe inflatable braking system and anti lock braking system(ABS). 6、Electrical system: Semi trailer owns international electrical system in accordance with king tractor. 7、External driving setting and air compressor: the external setting of the 4100 engine and the Wuhu 10.00 vehicle air compressor unit, ensuring sufficient air pressure for the unloading. Company Profile：Henan Liba Hydraulic Machinery Group Co., Ltd is located in the middle west part of Henan Province. 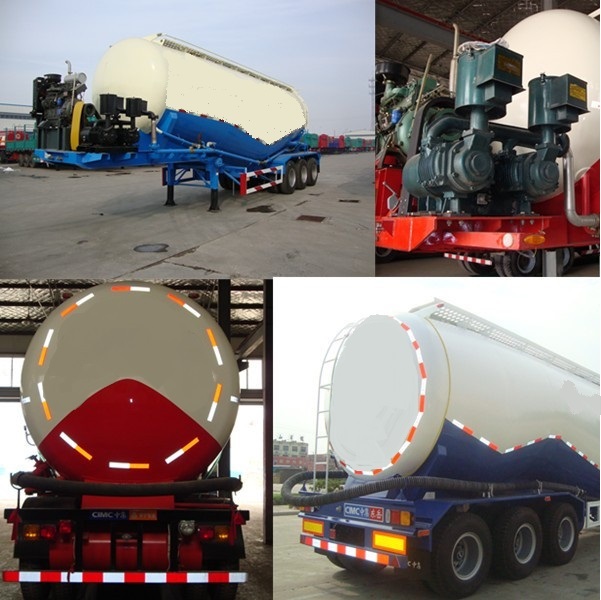 Liba Group is mainly engaged in the production of and sales of light-duty semi trailers and drilling truck and hydraulic machinery products. Liba Group was established in Runan Industry Cluster Area in 2010, covers approximately 340,000 square meters. Liba Group is listed as the key construction project by Henan Provincial government, and Liba Group has obtained the ISO9001-2008 quality management system certificate and China Compulsory Certification(3C), parts of Liba products have been obtained nationwide industrial production permission.